DNA-based genealogy databases that offer ancestral matches based on your personal sample are expanding. Now, both the scope and resolution of genomic ancestry studies are growing dramatically, thanks to specially designed microchips that allow scientists to quickly scan hundreds of thousands of spots on an individual's genome. That means that researchers can gather genetic information from more people in more places, generating better ancestry markers. Although the testing still offers a probabilistic view of your ancestry; it tells where your ancestors are most likely from, not exactly who they are. 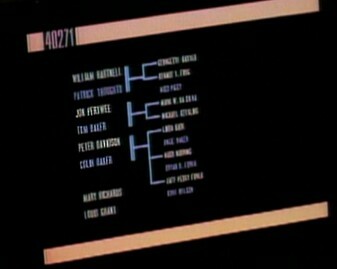 In the Star Trek: The Next Generation episode The Neutral Zone, counsellor Troi uses a genealogy computer to immediately display the family tree of someone who was revived after 400 years. The information for all of her descendants was displayed immediately. The following video excerpt shows the relevant bit. Via Genealogy Gets More Precise: Rapidly growing databases enable a more complete picture of one's ancestry; thanks to Moira for the tip.